Just recently I went on a trip to India with some of my cousins to tour our cultural heritage and to help teach kids in local schools. 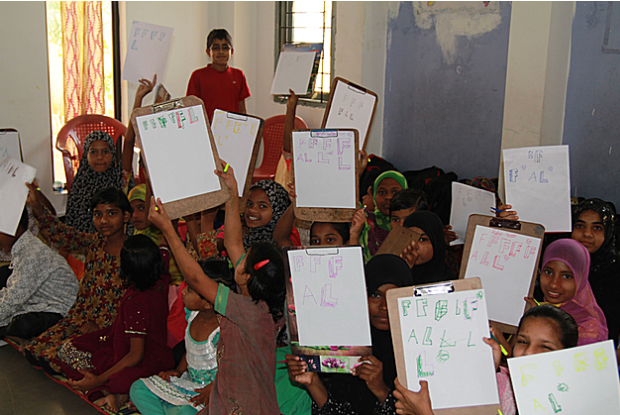 On one of our days there, we went to teach kids in an orphanage some basic skills. Our parents were providing free medical care, through IMRC, and us kids decided to each teach a helpful skill to the children. I taught them how to draw shadows and 3D letters. I chose to teach art because art is one of my strengths. 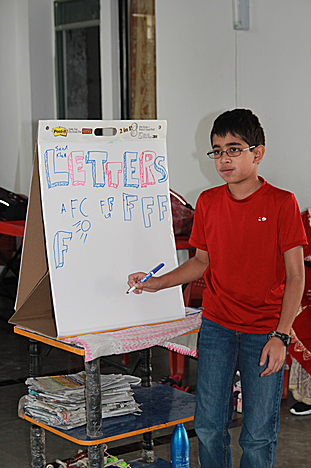 For them, art was useful in drawing letters and destressing. It was difficult and I had to bring some drawing materials for the kids. I realized that even though we each didn’t have a lot of knowledge, the knowledge that we did have was extremely helpful in teaching. I hope that I will find other ways of volunteering.